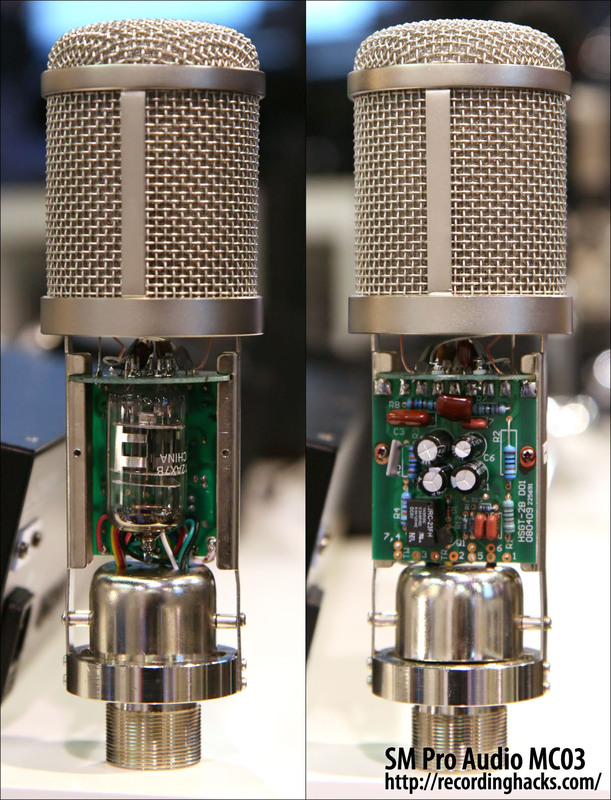 The MC03 is a multipattern tube microphone with an innovative two-way amplifier circuit. The mic is powered by an included power supply, but when phantom power is enabled, a relay on the mic’s PCB switches to an alternate circuit, providing a second sound color. According to the manufacturer, the non-phantom-power circuit is a neutral tone, whereas the alternative circuit provides a colored tone, in which the mids and highs are enhanced. 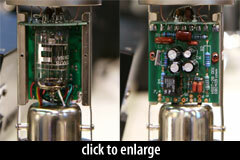 The tube is a 12AX7B, a high-gain dual-triode, sourced from a Chinese manufacturer. It is soldered, not socketed, into the amplifier circuit. Curiously, the mic’s circuit board is stamped with an Alctron part number, HSGT-2B. But the switching amp circuit was designed by Australia’s JLM Audio, and apparently retrofitted onto the GT2B board. The capsule is a K67 derivative, with a 32mm outside diameter and presumably a 25mm diaphragm. The backplate shows the distinctive K67 drilling pattern. The dual diaphragms are made of 6-micron gold-sputtered Mylar, and are center-terminated. 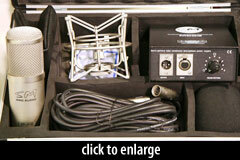 The mic ships in an aluminum flight case with an elastic shockmount, power supply, and cable. 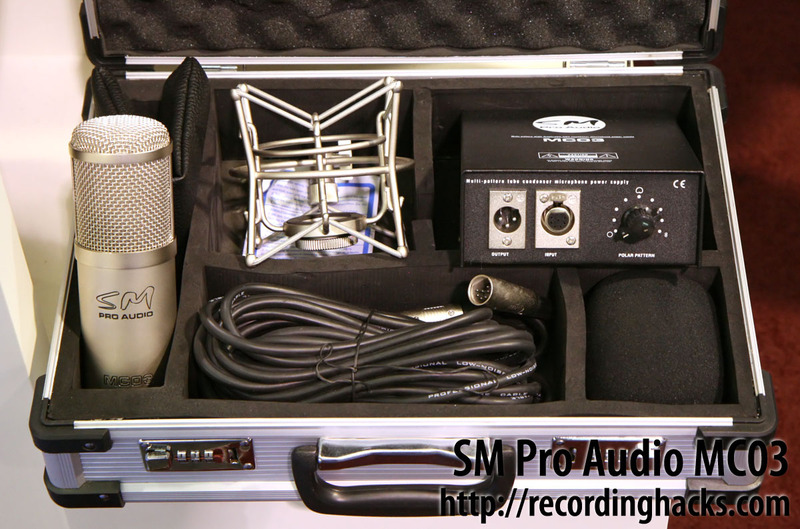 The SM Pro Audio MC03 Mk 2 is also known as: MC03.